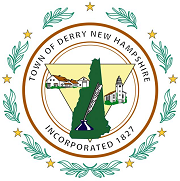 THE NEW HAMPSHIRE OFFICE OF ENERGY AND PLANNING (OEP) REQUESTS PROPOSALS FOR A CONSULTANT TO DEVELOP A STRATEGIC COMMUNICATIONS PLAN FOR ENERGY CONSERVATION, EFFICIENCY, AND RENEWABLE ENERGY ADOPTION IN THE STATE OF NEW HAMSPHIRE. 1. Proposals must be received by OEP prior to 4:00 PM on Monday, January 4, 2011. 3. Questions about this RFP from bidders should be addressed to curtis.felder@nh.gov. They will be posted anonymously to the OEP-ARRA Web site with answers following a Frequently Asked Questions format. Questions regarding this RFP will be accepted until December 17, 2010. The Enterprise Energy Fund (EEF), a revolving loan pool with which New Hampshire businesses can finance energy improvements and renewable energy projects, recently expanded to $6.6 million. All of the funds are part of New Hampshire’s stimulus grant from the U.S. Department of Energy to the state Office of Energy and Planning. EEF, established in December of 2009, is managed by the New Hampshire Community Development Finance Authority and the New Hampshire Community Loan Fund. 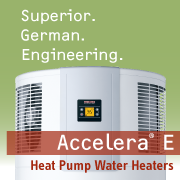 It provides funding for energy audits and to finance energy retrofits. “Many small businesses in New Hampshire have the potential to reduce their operating costs immediately by investing in energy efficiency. We encourage applications from enterprises spending more than $1 per square foot on energy,” said Rick Minard of the Community Loan Fund. Loans from the original $3.5 million have been committed to a variety of projects across New Hampshire, including in Concord, Tilton, Manchester, Littleton, Loudon, Hinsdale and Milford. Organizations interested in an EFF loan should contact either the Community Development Finance Authority at 226-2170 or the Community Loan Fund at 224-6669. Program closed as of November 9, 2010 – applications are no longer being accepted. Congratulations to the consumers who participated and thanks to the HVAC contractors that have promoted and continue to promote high efficiency heating and hot water systems. As a reminder, you may still be eligible for the federal tax credit available through the end of the year. Visit the ENERGYSTAR.gov website for details or consult your tax professional. On November 17th, Governor and Executive Council approved increasing the federally funded solar thermal rebate program from $750 to $2,000. Program is effective immediately and will be retroactive for all previous recipients of rebates. For more information, please CLICK HERE or contact Diane Bateman at PUC (271-6031 or rshwrebates@puc.nh.gov). Applicants need not be for-profit businesses; most non-residential entities are eligible. CLICK HERE and scroll to bottom of page, for application forms. Please note that funding for this program is limited and applications will be processed on a first come, first served basis. Total funding for state fiscal year 2011, ending June 30, 2011, is $1 million. Rebates are capped at $50,000. The program will continue after June 30, 2011 only if additional funding becomes available next July. This program will build on the success of our residential renewable energy rebate program, which to date has received more than 500 applications requesting a total of $2.9 million in incentives for home PV and small wind installations with a combined net capacity of more than 1.5 megawatts. The net value of these facilities is more than $10.4 million, which means our rebate funds are leveraging $7.5 million in private investment. In addition to reducing our reliance on imported fuels and lessening emissions of greenhouse gases, these renewable energy installations are bolstering our economy and creating new jobs in the green energy sector.